The Roswell staff may be small with its nine employees, but by no means are they the weak link of the Tascosa chain. They can support all aspects of service, sales, dispatch, local billing and all other administrative aspects. The store carries a wide array of office equipment, furniture and supplies. If not on hand, they can order a wider line of items from numerous resources. Working with a combined 80+ years in copier sales and service, they look forward to showing our customers a much higher quality of service, parts supply, sales, billing expertise and decision-making combined with southern courtesy. We do not hide the fact that Tascosa Office Machines does not always offer the cheapest price in town. (You get what you pay for!) 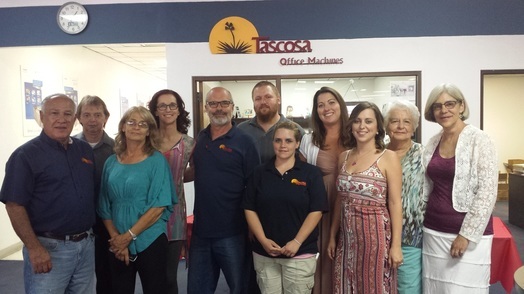 ‘Quality and excellence’ is a Tascosa Office Machines achievement. We are offering you the best support and equipment in terms of value, reliability and maintenance after the sale!